The revolutions sweeping the Middle East provide dramatic evidence of the role that technology plays in mobilizing citizen protest and upending seemingly invulnerable authoritarian regimes. A grainy cell phone video of a Tunisian street vendor’s self-immolation helped spark the massive protests that toppled longtime ruler Zine El Abidine Ben Ali, and Egypt’s “Facebook revolution” forced the ruling regime out of power and into exile. While such “liberation technology” has been instrumental in freeing Egypt and Tunisia, other cases—such as China and Iran—demonstrate that it can be deployed just as effectively by authoritarian regimes seeking to control the Internet, stifle protest, and target dissenters. This two-sided dynamic has set off an intense technological race between “netizens” demanding freedom and authoritarians determined to retain their grip on power. Liberation Technology brings together cutting-edge scholarship from scholars and practitioners at the forefront of this burgeoning field of study. An introductory section defines the debate with a foundational piece on liberation technology and is then followed by essays discussing the popular dichotomy of “liberation” versus “control” with regard to the Internet and the sociopolitical dimensions of such controls. Additional chapters delve into the cases of individual countries: China, Egypt, Iran, and Tunisia. 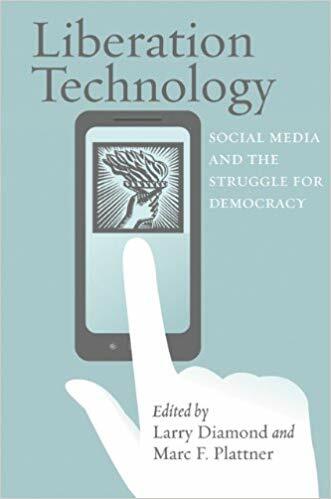 This book also includes in-depth analysis of specific technologies such as Ushahidi—a platform developed to document human-rights abuses in the wake of Kenya’s 2007 elections—and alkasir—a tool that has been used widely throughout the Middle East to circumvent cyber-censorship. Liberation Technology will prove an essential resource for all students seeking to understand the intersection of information and communications technology and the global struggle for democracy. Larry Diamond is senior fellow at the Hoover Institution and at Stanford’s Freeman Spogli Institute for International Studies, where he directs the Center on Democracy, Development, and the Rule of Law. Marc F. Plattner is vice president for research and studies at the National Endowment for Democracy. Plattner and Diamond are coeditors of the Journal of Democracy.